Sasha Pieterse was photographed yesterday wearing TITIKA Active Couture while heading to dance practice for DWTS in Los Angeles, CA. The actress and singer-songwriter looked sporty in the Estelle Reflective Tee ($88,www.titikaactive.com). 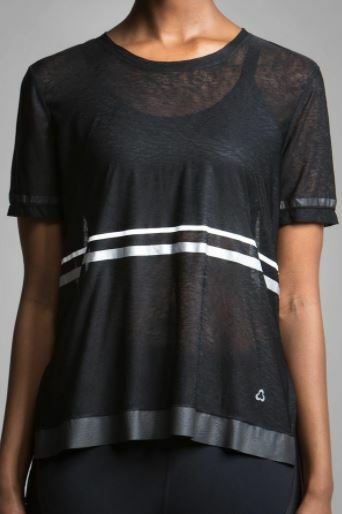 Here is a closer look at the stylish reflective tee. Take a look back to 2014 to see Sasha Pieterse wearing Vera Wang at the kids choice awards. Clearly she still has a fab sense of style with her TITIKA Active Couture selection. You may be interest in the following fashion blog posts about the TITIKA Active Couture brand. You can learn more about TITIKA Active Couture at their website.